Qualcomm HS-USB QDLoader 9008 Driver latest free download for Windows XP, 7, 8, 8.1, and Windows 10. This latest driver will work on both 32-bit and 64-bit operating system. This Latest driver is mostly needed by any Android devices powered with the Qualcomm-based chipset. This driver allows your computer to easily recognize your Android device and connect your mobile phone with your PC easily without any error. 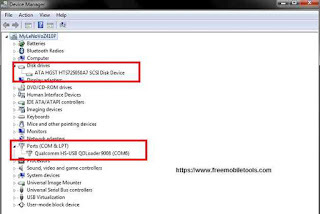 If you wish to connect or flash your Qualcomm Devices Like Xiaomi, VIVO, Oppo, Xiaomi, OnePlus, Samsung, LG, Motorola, Lenovo and all other Qualcomm Devices, then click the given download link for direct download and install latest Qualcomm hs-USB driver for PC windows. Choose your Setup file according to your OS. Choose 32 Bit or 64 Bit Setup. Select the Setup Type as "Free Bld" and press next. You will see that installation wizard has been started. Click next to continue installation. Accept the terms of the license agreement to continue installation. Now, Finally Press Install button to start the installation of a driver. Setup will copy the required driver files on your computer. Finally, The driver has installed Successfully. Now select "Finish" to Exit installation process. If you wish to flash ROM on a Qualcomm-powered smartphone from a Windows-based computer. Then you need a specific driver software. The latest Qualcomm QDLoader HS-USB is a necessary driver software for you to make it easy flashing your favorite ROM via your computer. If you hard reset or flash your smartphone, you must backup your all data, because after hard reset you lost your all important data from internal memory. so take a backup of your all-important data. If you want to download Qualcomm HS-USB QDLoader 9008 Drivers on your Windows PC. Then click the given download link for free download. Just tap the link and your download start automatically after a few seconds.